The 4th Annual Beer, Art & Music Festival (BAM Fest) is returning to Santa Monica on October 5, 2013 and tickets are now officially on sale. 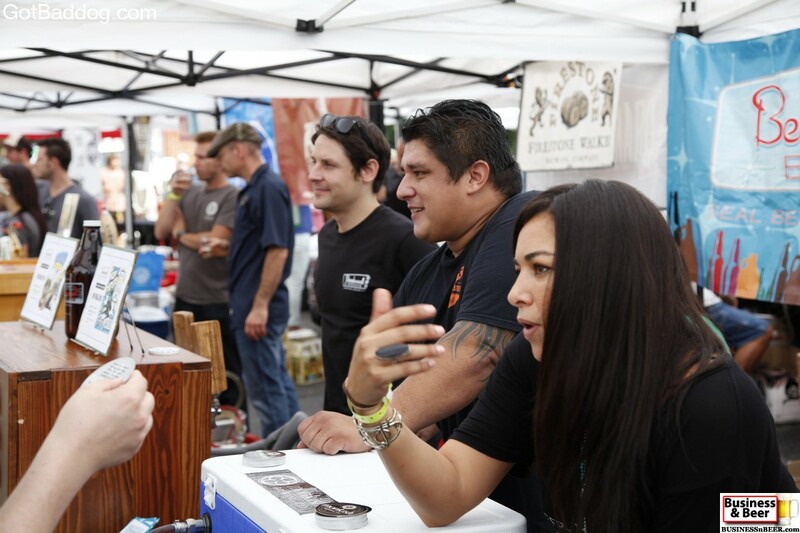 BAM Fest will feature more than 30 craft breweries, four wineries, three bands, gourmet food trucks, several art galleries and open artist studios and four hours of fun. BAM Fest is a fundraiser benefiting the 18th Street Arts Center, a 501(c) (3) non-profit organization located in Santa Monica. The 18th Street Arts Center is a well-known and internationally respected alternative art space which has sponsored over 1,000 artists through their residency program. While enjoying the beer, food and music, many of these artists have opened their galleries to attendees of the event. Tickets can be purchased online for $45 each; they will be $50 at the door if there are any tickets available by then; I would be somewhat surprised if there are, so if you want to come I recommend purchasing your tickets online ahead of time. Last year was my first time attending BAM Fest and everyone I talked to that had attended the earlier events told me it was the best one yet. As the 4th Annual BAM Fest is even bigger than last year, I expect to hear, “this was the best one yet” by October 6. I hope to see you there. On Sunday, the 18th Street Arts Center held their 1st Annual CRUSH, an artisanal wine, art and food tasting event at their location on 18th Street in Santa Monica. This was a fundraising event for the 18th Street Arts Center and I would say they had a pretty nice turnout of about 500-600 people; if I had to guess. It was a great day to be outside, the food smelled and tasted great, there was good music, fun people and wine; lots and lots of wine. The 18th Street Arts Center is holding their first annual CRUSH, an artisanal wine, art and food tasting event on Sunday, May 19, 2013 at the 18th Street Arts Center located at 1639 18th Street, in Santa Monica, CA. The fundraising event will run from 2:00-5:00 PM for general admission; with VIP ticket holders getting in an hour earlier, 1:00 PM.